The CLIENT: Businesses, organizations and entrepreneurs who do not have, cannot afford or wish to outsource certain business functions requiring specific expertise. The OBJECTIVE: Provide cost effective expertise. Ed Kalvins operates Technical Partners International Inc. of Canada and “TP Riga” SIA of Latvia, and is a Latvian-Canadian living in Latvia. He is a Canadian engineer with extensive Project, Production and Engineering Management experience who also provides procurement and investment coaching and services. He developed the PM-PROformance™ System, a hands-on project management system suitable for projects in small and medium sized businesses. His 20+ years experience in Latvia provides for a deep understanding of local conditions, while his western background helps him relate to North American requirements. His particular strength is in documentation and control processes. He supports foreign business initiatives in Latvia and export from Latvia, and is the President of the Canadian Chamber of Commerce in Latvia (http://cancham.lv/). 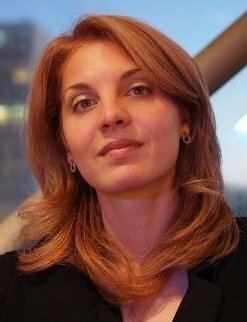 Inguna Gustava MBA (Riga Business School, Riga Technical University), BA, MA – mathematics (University of Latvia) is a Business Development Specialist and an experienced General Manager covering management, company budgets and financial control, staff recruiting and training, marketing and sales. Provides entrepreneurial consulting and develops business strategies. Assists clients to meet western standards with personnel recruitment, management training, the L!ST networking and current and future employee evaluations using the Thomas System of personnel evaluation, General Manager “Prime Recruitment” SIA, http://www.prime.lv/. Specialists: A listing of most specialists available to Technical Partners is lsted in http://tpriga.lv/our-team. For information on how we can serve you, please contact Ed Kalvins at ed.kalvins@tpriga.lv.